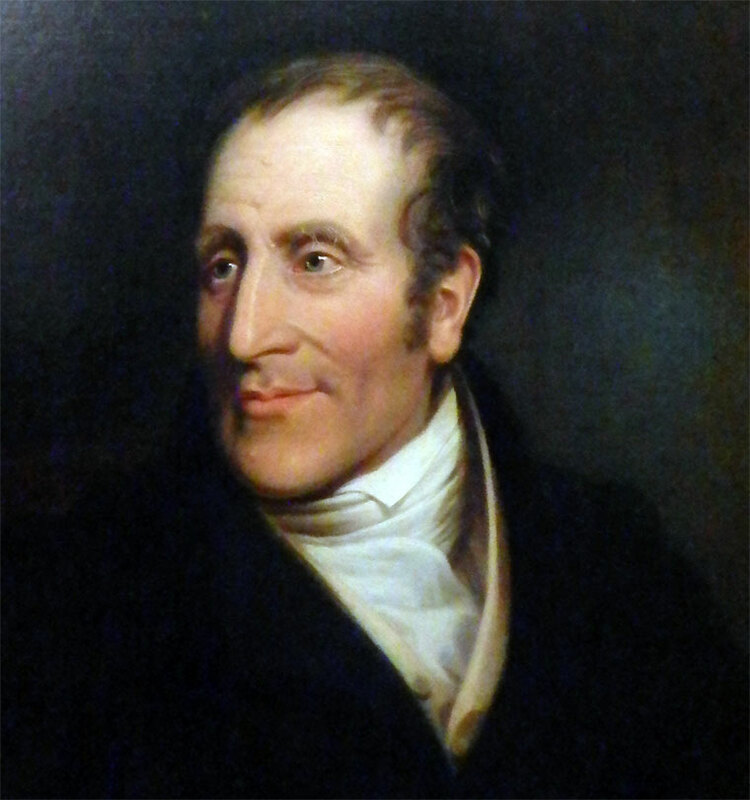 Henry Bell (1767-1830), hotelier and developer of steam navigation, launched the first commercially successful steamship in Europe, PS Comet. 1767 Born, Torphichen, Linlithgowshire, Scotland. After serving apprenticeships as a millwright and a ship modeler, he went to London, where he worked and studied under the Scottish engineer John Rennie (the elder). 1790 Returned to Scotland and settled in Glasgow as a carpenter/wright and builder. Over the next twenty years he participated actively in the wave of new building as the city expanded. In 1800 he submitted proposals to the British Admiralty for steam-propelled vessels. 1806 The Bells moved to Helensburgh where they erected a hotel. c.1810 Bell, assisted by a Glasgow engineer. John Thomson, began his own practical experiments in steam-powered ships, which he seems to have financed by mortgaging the hotel for £2000. 1811 Commissioned a hull from John Wood, a shipbuilder in Port Glasgow. The engines were supplied by John Robertson, a Glasgow engineer, and the boiler and smokestack by David Napier. 1812 Bell's own steamship, the 28-ton PS Comet, was launched from Port Glasgow and subsequently carried passengers and cargo along the Clyde River. Despite technical shortcomings, the Comet demonstrated the feasibility of paddle steam propulsion. She continued in use until wrecked in 1820. The success of this vessel heralded the era of steam navigation in Europe. Bell attempted to pioneer steamship services on the Forth, along the coast from the Clyde to London, and north to the Western Highlands and islands using the Comet, which had been lengthened and re-engineered. But the services were not successful commercially. 1820 After the Comet was wrecked, he did not have any financial interest in her successor. 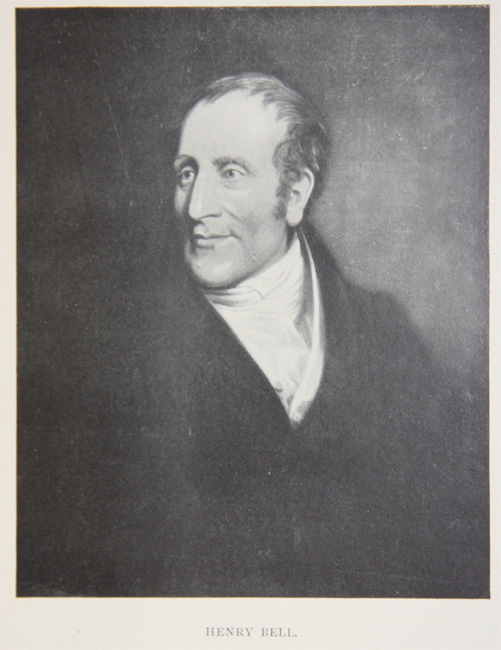 Bell continued to manage the hotel and to work as an architect and contractor, reconstructing the Dalmonach calico printing works at Dumbarton in 1812. He also put forward visionary but flawed proposals for draining part of Loch Lomond and converting Glasgow harbour into an enormous floating dock. 1825 Inaugurated the Glasgow–Inverness steamship route by way of the Caledonian Canal with the Stirling and participated in the ownership of the Highland Chieftain used on the Skye route. The Clyde Navigation Trust awarded him an annual gratuity of £50, later raised to £100. This page was last edited on 7 April 2017, at 15:13.